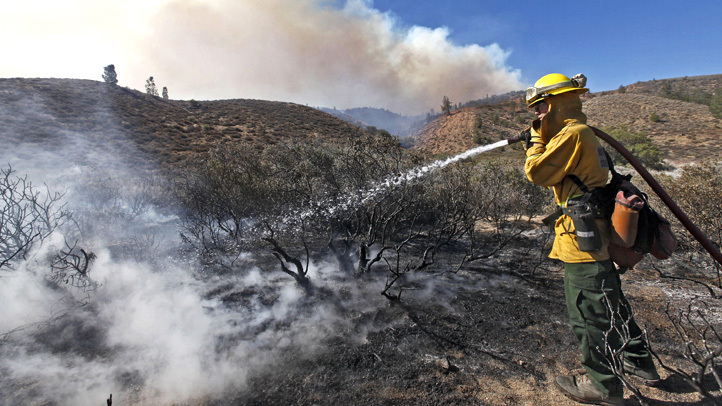 The Holy fire began Monday Aug. 6, 2018 in a spell of hot and dry weather, allegedly set by an arsonist in Cleveland National Forest, and quickly scorched thousands of acres of brush as it rampaged toward homes. The fire grew to more than 18,000 acres by Friday, burning toward neighborhoods in Lake Elsinore. Firefighters took up positions near residences, protecting lives and property as the fire flared up. Scroll down for images of the firefight.